The UUG is committed to supporting those far away. As crises emerge, we collect money during our monthly spiritual gatherings. In the past we have supported victims of hurricanes in the Pacific, war victims in the Middle East. Supporting the school financially and materially by collecting and sending clothes, computers, books, etc. Importantly, we hope to deepen our own humanity by learning from Jhamtse its philosophy and approach, and we are thankful to the school for letting us be enriched by coming into direct contact with its children and the life lessons they will teach us. 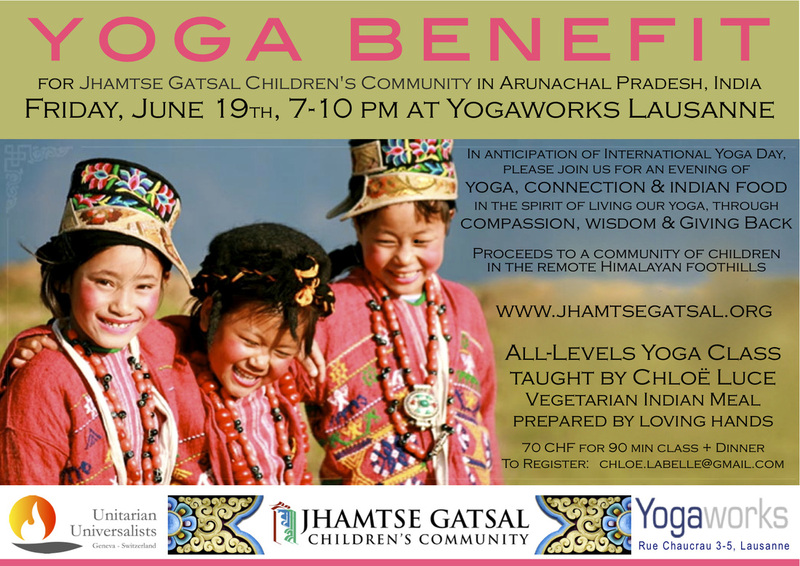 Below is an example of a past special purpose activity in 2015 in which UUG participated to raise money for Jhamste.